One of Trinidad and Tobago's largest distributors of high-end audio and recorded audiophile music is celebrating its 35th anniversary on March 13, 2014. 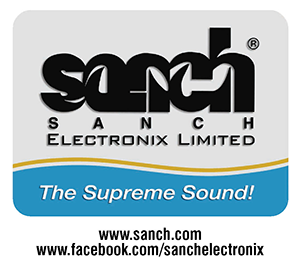 SANCH Electronix was founded in 1979. The acronym SANCH was derived from the surnames of its founding directors: George Anthony Charles (now retired), the late Ruskin Lulworth Darrell Punch, and Simeon Louis Sandiford (managing). SANCH distributes brands such as NAD, PSB, AudioQuest, Aurender, Berkeley Audio Design, Torus, and Audience, together with labels including Reference Recordings, First Impression Music, Telarc, Delos, and Mobile Fidelity. SANCH also releases music on its own label in multiple digital formats and is one of the few companies that still uses HDCD encoding technology, which was developed by Professor Keith O. Johnson and Michael "Pflash" Pfaumer. The company owns a proprietary software suite entitled Pan in Education through which an animated instructor, Pete the Panstick, uses the Steelpan to deliver a curriculum for training music-industry professionals in blended classroom environments. You are invited to attend a virtual birthday party by logging in to www.power102fm.com at 8:00 p.m. EDT on the evening of Thursday, March 13, to enjoy two hours of music from the archives, interviews, and interactions with present and past customers.